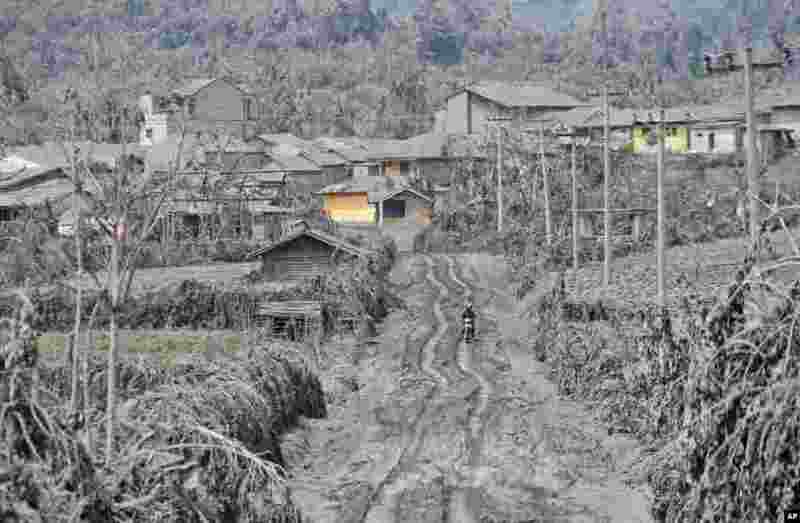 ۱ A motorist rides on a road covered in vocalic ash and mud, following a heavy ash fall from the eruption of Mount Sinabung in Sigaranggarang, North Sumatra, Indonesia. 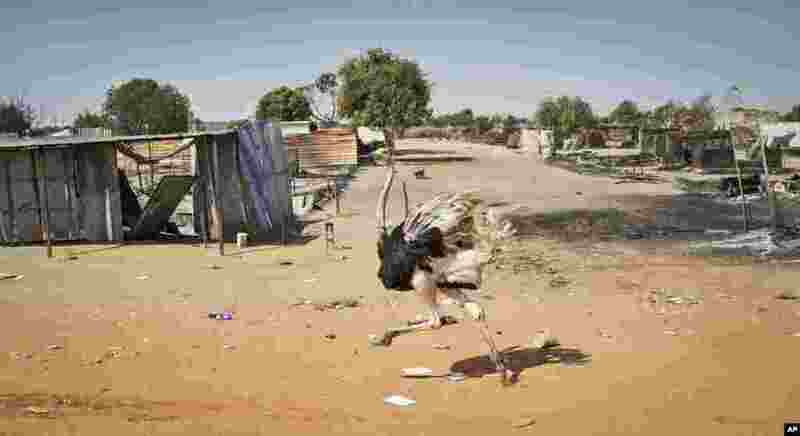 ۲ An ostrich runs through empty streets and past destroyed buildings, after government forces retook the provincial capital of Bentiu, in Unity State, South Sudan, from rebel forces. 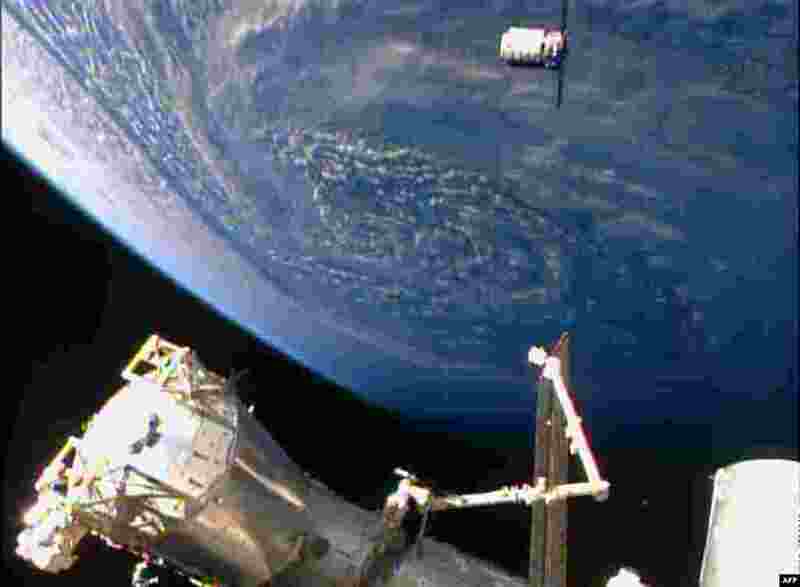 ۳ This NASA TV handout image shows the Orbital Sciences Corporation's unmanned Cygnus cargo ship arriving at the International Space Station on the company's first regular supply mission to the research outpost. 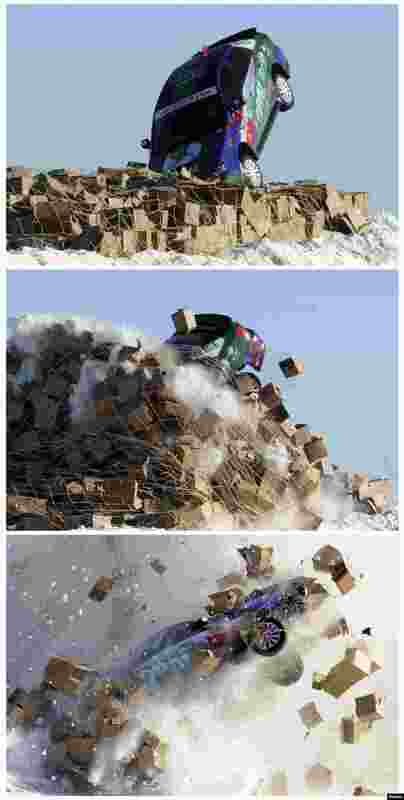 ۴ A combination picture shows a car, driven by stunt driver Xie Yujun, hitting carton boxes upon landing after it leaped over a section of the frozen Songhua River in Heihe, Heilongjiang province, near the border of China and Russia. Xie successfully leaped over an approximately 40 m (131 ft) wide section of the Songhua River where temperatures hit - 40°C (- 40°F), local media reported. 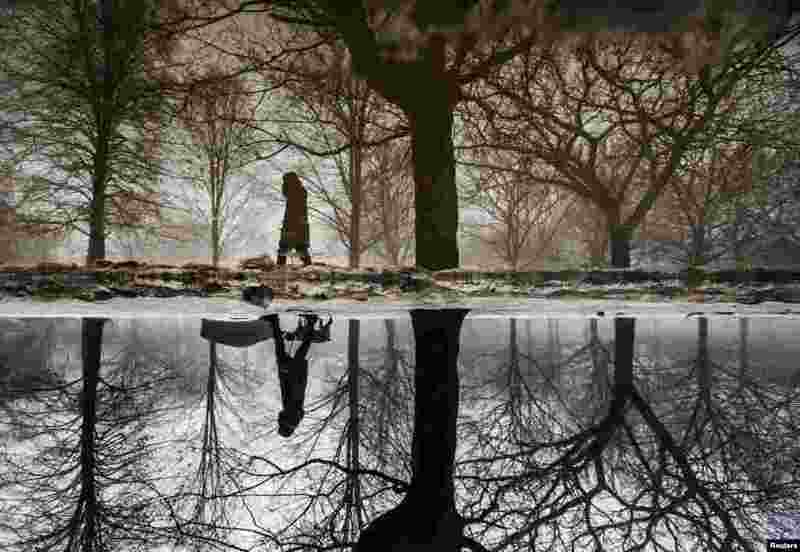 ۵ A woman is reflected in a puddle from rain and melted ice as she walks her dog during winter in Toronto, Canada, Jan. 11, 2014. 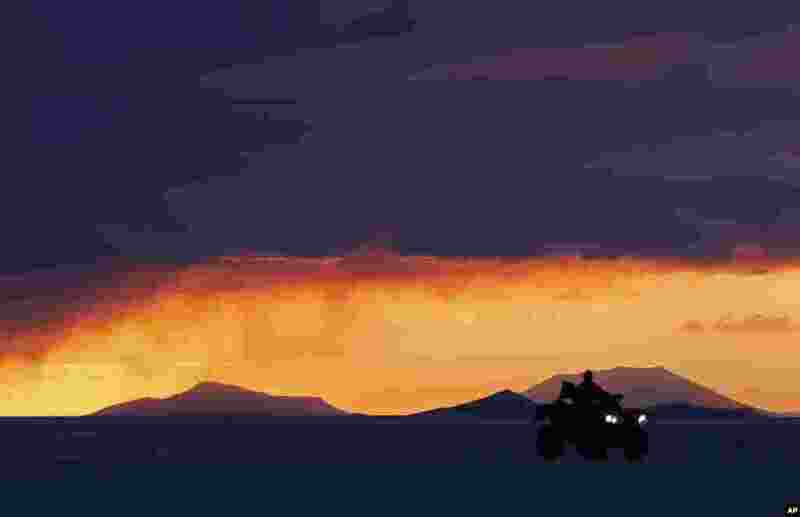 ۶ A resident of Uyuni drives his quad on Salar salt lake of Uyuni, Bolivia, before the seventh stage of the Dakar Rally 2014 that will be held from Salta to Uyuni. 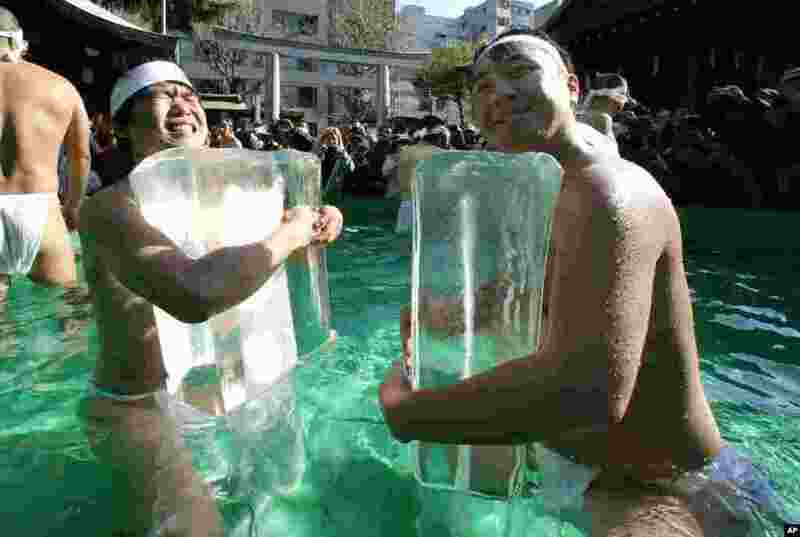 ۷ Japanese physical fitness enthusiasts hold blocks of ice while standing in cold water at Teppozu Inari Shinto shrine during a winter ritual to keep themselves fit and to display their perseverance in Tokyo. 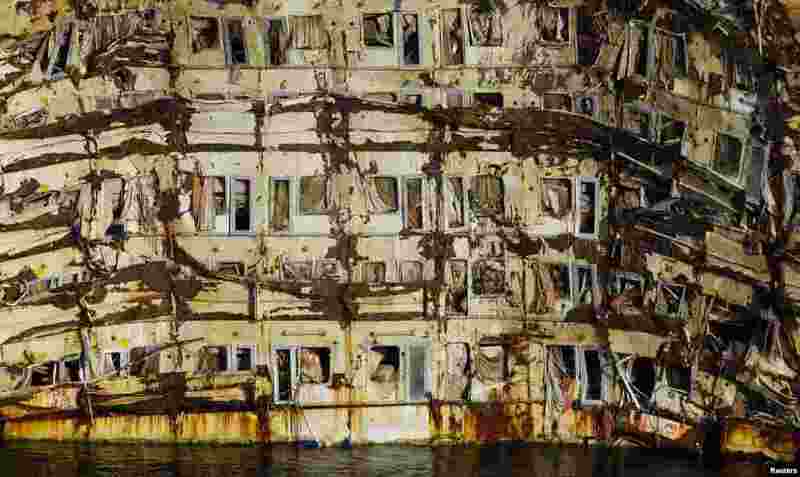 ۸ The side of the cruise liner Costa Concordia is seen during the "parbuckling" operation outside Giglio harbor. Thirty massive tanks filled with air will lift the hulk of the Costa Concordia off the seabed in June so that it can be towed away from the Italian island where it capsized two years ago, officials said. The 114,500-tonne vessel hit rocks on Jan. 13, 2012, killing 32 people.